As the first year of MACRA implementation comes to a close, it is time to report on what transpired during 2017 and how to prepare for 2018 and the new MACRA. This paper will reflect on what the success or failure of MACRA says about the transition of the healthcare reimbursement system from a primarily fee-for-service (FFS), volume-based system, to a more fee-for-value (FFV), value-based system. Although data is not yet fully available to assess the activities within MACRA for 2017, it seems evident that providers are beginning, although slowly, to understand the ramifications and implications of MACRA. That said, most provider surveys show that the majority are only now gaining an understanding of MACRA, and just a few are taking substantial steps to prepare for this program’s full implementation 14 months from now. The first year of MACRA data reporting has shown that merely reporting information to CMS is a challenge for many provider organizations, especially small rural providers. The good news is that in response to these difficulties CMS agreed to modify some of the requirements within the MACRA quality payment programs and to be more flexible in rolling out this legislation over the years to come. Nevertheless, it should be assumed that the MACRA program will stay on track and fully implemented by January of 2019. All providers should begin now to plan and prepare for this inevitability. Performance Category Weighting and Reporting Time Requirements. The categories for performance within MIPS will be adjusted in 2018 regarding their respective weights. The final score for performance within MIPS will be weighted 50% on quality, 10% on cost, 15% on improvement activities, and 25% on advancing care information. Further, it should be noted that the minimum reporting time will be extended from 90 days to 12 months in 2018. Creation of Virtual Groups.Physicians in groups of 10 or less and individual physicians can now band together in virtual groups to report MIPS data. This action seems primarily directed to those groups who may not have the resources to support the IT systems or IT staff required to report data adequately. Virtual groups will allow providers to share resources to accomplish this task. Raising the Low Volume Threshold. The low volume threshold for MACRA has been raised from $30,000 or less in Medicare charges or treatment of less than 100 Medicare Part B beneficiaries in 2017 to $90,000 or less in Medicare charges or treatment of less than 200 Medicare beneficiaries in 2018. Despite these changes, most providers who participate in Medicare will not be exempt from MIPS participation in 2018. Bonus Opportunities for Physicians. Physicians practicing in groups of 15 or less can earn five additional bonus points if they report on at least one performance category. They can garner five more bonus points if they treat especially complex patients as defined by CMS’s Hierarchical Condition Categories (HCC) or the number of dual-eligible patients (Medicare and Medicaid) cared for by the provider. This change should further incentivize providers in small groups to report data in 2017. Leniency for Physicians Affected by Hurricanes in 2017. Physicians who were affected by Hurricanes Harvey, Irma, and Maria in 2017 are automatically exempt from the re-weighting of the quality, cost, and CPIA categories for the 2018 performance year. APM Changes in 2018.The final rule for 2018 specifies more clearly the determination period and scoring for APMs that do not qualify as advanced APMs but, instead, allow providers to report data through these organizations as MIPS APMs. The final rule also specifies and sets the risk requirement for Advanced APMs for the next two years (i.e.,through 2020). This provision will mean that at least 8% of revenue must be at risk in a qualifying APM. Finally, the final rule included information on the performance period, determination, and data submission for the All-Payer Combination Model that will be available as an Advanced APM in 2019. While some claim the current administration is likely to shut down MACRA, this move seems very unlikely. More likely, we will continue to see CMS be flexible with the requirements for participation within MACRA and to provide special dispensation for select groups, such as small practices, rural practices, and hospital-based providers. Commercial payers, self-insured employers, and Medicaid are now moving steadily toward a more VBR model. We expect this trend to continue inexorably over the next three to five years and for VBRs to become the dominant payment mechanism in the industry by the end of the decade. While CMS has slowed down and built more flexibility into MACRA, we will soon reach a tipping point where most providers will have invested heavily in a more value-based business model. When that happens, the demand from providers to proceed quickly through the volume-to-value transition will be higher than to slow it down. 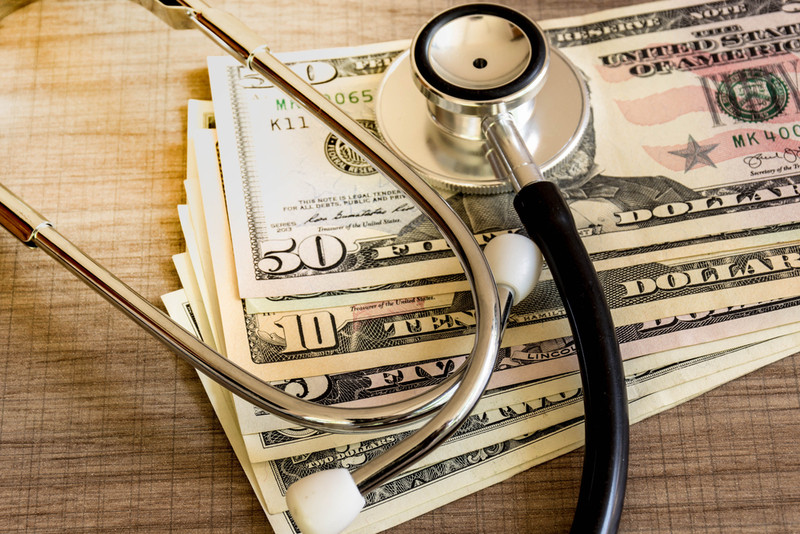 While CMS has curtailed the expansion of their flagship bundled payment program (i.e., the Comprehensive Joint Replacement (CJR) Payment Program) it seems likely that bundled payments will continue from CMS. This continuation is evidenced by the field testing of eight episode-based cost measures currently underway and the recent recommendation that CMS roll-out the oncology bundled payment program. CMS’ overall intention seems to be to move as many providers as possible into an alternative payment model (APM). This change is further evidenced by the recent recommendation by the CMS Physician-Focused Payment Model Technical Advisory Committee that HHS consider two new APMs in 2019. These include the hospital at home plus model (HaH-Plus) and the oncology bundled payment program (OBPP). The challenges that providers, who intend to participate in value-based payment models (e.g., MACRA) continue to face include the development of IT systems that can facilitate data measurement, collection, aggregation, and reporting; the adoption of coding practices that will allow their data, especially quality and cost data, to be appropriately risk adjusted; the development of clinically integrated networks that can serve as advanced alternative payment models; and the re-tooling of front-line care delivery processes and procedures, so that they reliably deliver high value (quality/cost). The adage that we should watch what politicians do more closely than we listen to what they say is relevant to healthcare reforms such as MACRA and other VBRs. While a lot of political ire has been directed toward the ACA, this anger has more to do with rolling back governmental insurance programs (Obamacare, Medicaid) than rolling back payment mechanisms, such as MACRA, that attempt to slow down the inflationary cost curve in the healthcare industry, while simultaneously maintaining or improving quality and patient safety. MACRA continues to loom ahead as the one of the most significant changes in the healthcare industry in decades. Providers who expect to operate successfully in this program and in the many other value-based commercial, Medicaid, or self-insured health plans that will follow, must soon adopt a systematic strategy for MACRA preparation. Otherwise, they will be left behind and suffer the consequences, i.e., payment reductions from CMS, the largest of all healthcare payers. External Value-Based Incentives – What Should You Do With Them?